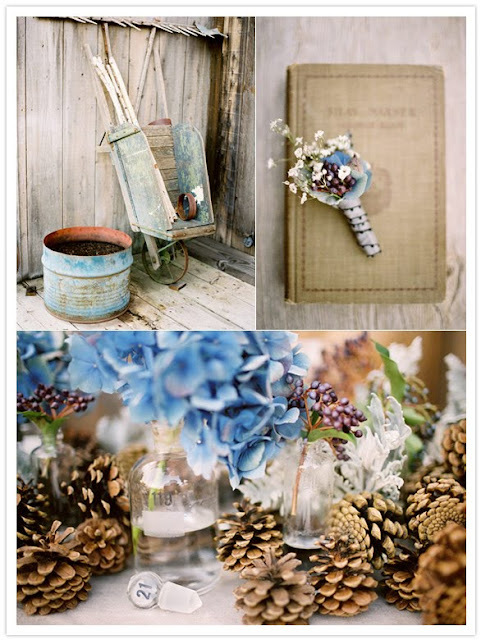 love the vintage details mixed with pretty paper whites and wintery blues and purples. 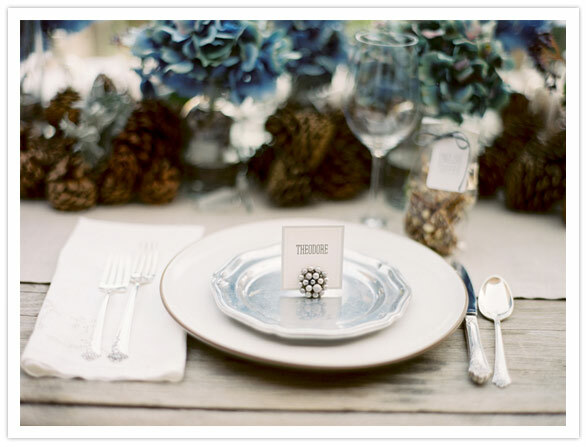 Plus, they used vintage clip on earrings for place card holders and that is genius in my book. 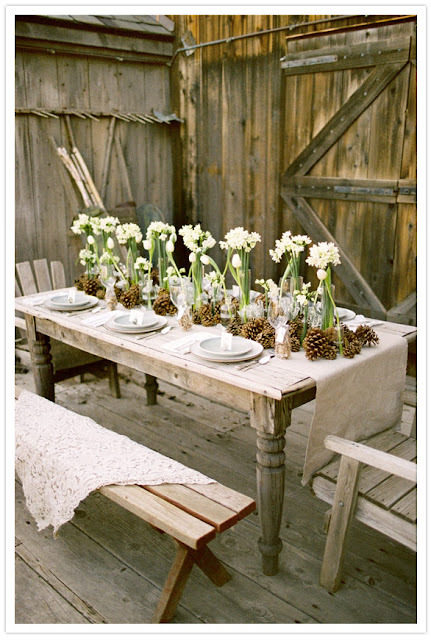 just discovered your blog and i am completely smitten. i haven't found a post i don't love yet!